Today the TT team is sharing something fun, it's a Memory Keeping Post. 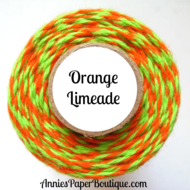 I don't know about you but I sure wish I had the time and skill to scrapbook all my photos. 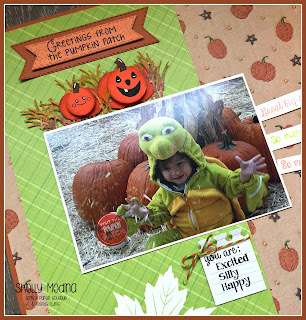 But for now here's a photo that I just love of my youngest son dressed as a turtle sitting in a pumpkin patch. 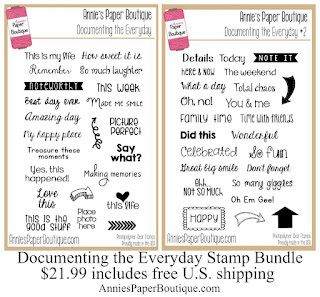 Annie's Paper Boutique has some fantastic memory keeping stamps. I've used quite a few stamps on this page. 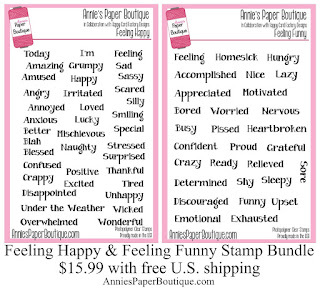 From the Feeling happy set I used Excited, Silly, Happy I also used "You Are" from the Choose happy stamps set. 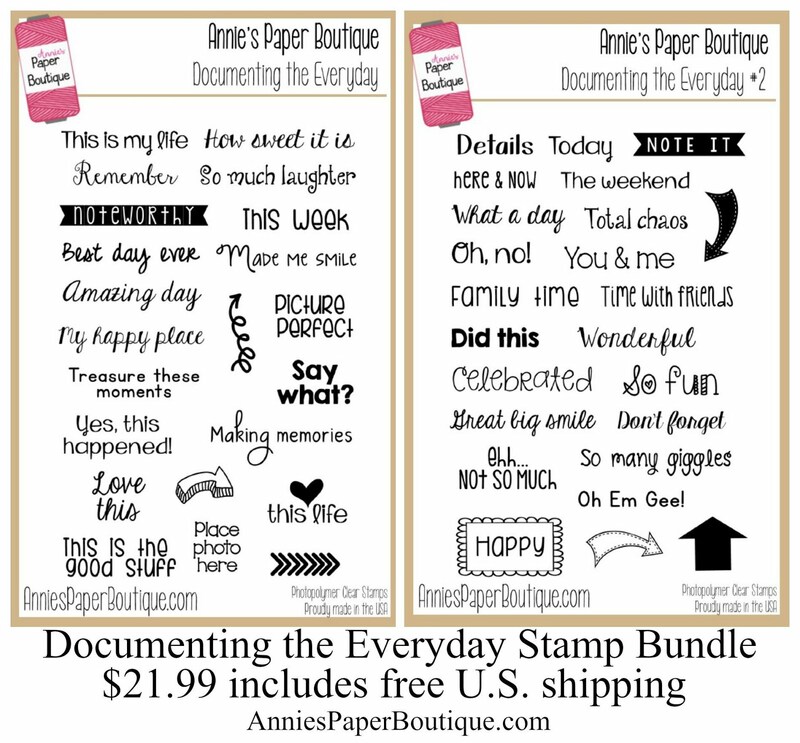 I just loved these sentiments from Documenting the Everyday 1 & 2 to document your smile and laughter. All sets are on sale! 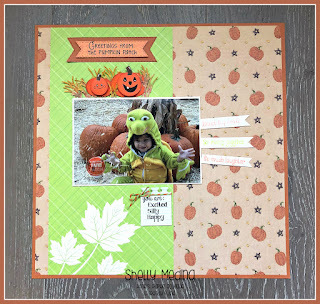 Stop by the Blog and see the great ways the team has used theses sets! This is such an adorable scrapbook page! Your son is so cute :) The embellishments and stamps are perfect. Shelly, this is so cute and he's adorable. 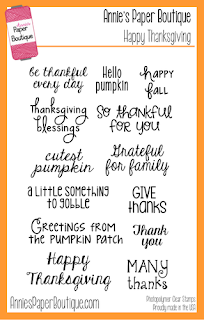 The Fall theme and all the details are great. Love the sweet pumpkins, too. 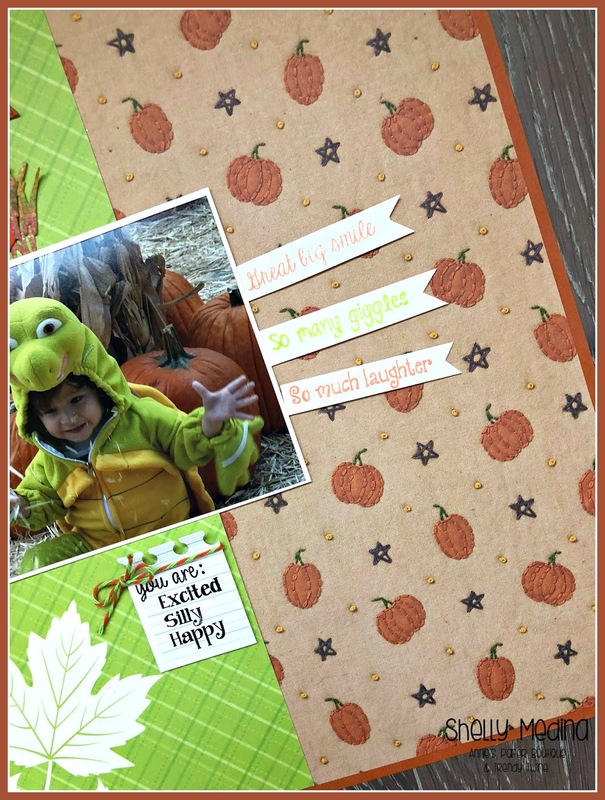 Thanks for sharing this fun layout my friend! Hope you are doing well my friend. It's so hard to believe it's Nov tomorrow? How in the world can that be already?! Things need to SLOW down, ha?! Ooh, how CUTE! Adorable Layout Shelly!! Love the picture of your son too... so cute! Such an adorable layout my friend!! 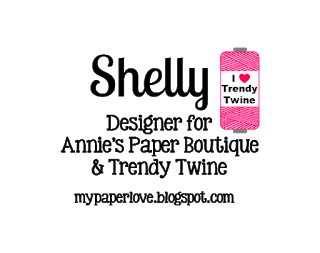 Trendy Baker's Twine - Boo!